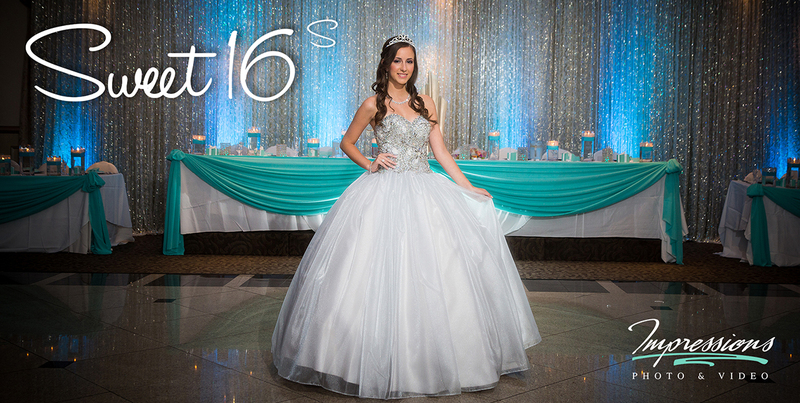 Celebrate your Sweet 16 with Impressions Photo and Video. With over 20 years experience of event coverage, we pay close attention to detail and work with you and your family to provide a stress free photographic experience. We take the time to both capture moments and choreagraph great shots to provide lasting memories.